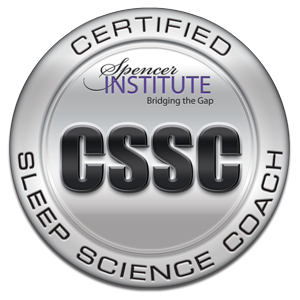 Not everyone is suited for a group program which is why at Back-To-Sleep, we also offer individual sleep better coaching sessions. Sleep Like a VIP is a customized 4-session individual sleep coaching package and provides cutting-edge sleep information as well as dynamic coaching strategies to help you integrate your newfound knowledge into your daily life for great sleep. In our Sleep Like a VIP individual 4-session coaching package, meetings last for 50-minutes each either weekly or twice weekly depending upon your needs. This customized one-on-one program is tailored to understand and resolve your specific sleep challenges forever. By the end of the 4-sessions, you will be well on your way to acquiring the basics for becoming your own sleep expert! Click here for your complimentary ‘Breakthrough to a Great Night’s Sleep’ Session ($90 value) to learn if my services may be a good match for your needs. No pressure, no strings attached...just a great conversation with someone who listens deeply and sees your value. You can transform your poor sleeping habits and exhaustion into finally sleeping soundly again, feeling rested and ready to take on the world. I promise that you'll get a ton of value from our short time together! I look forward to hearing from you and working together to get you amazingly Back-To-Sleep! If you've been struggling sleep loss for some time and are ready to take the necessary steps to finally sleep soundly again, schedule your appointment below and we'll get started right away. JOIN our mailing list for free tips to support you on your journey towards better sleep, health and vibrancy! Sign up to receive our e-newsletter ‘Get Back-To-Sleep’ as well as updates on events, programs and other news.